The Lincoln Youth Symphony and Lincoln Youth Chamber Orchestra will present a Night of Concertos featuring soloists Krystal Matheson (Trumpet), David Ban (Piano), and Kristene Murrow (Violin), February 1, 2014, 5:00 pm at Logan High School Auditorium, 162 W 100 S, Logan. This change of venue is a reflection of the youth symphony's membership which comes from all over Northern Utah. Admission is free due to the generous sponsorship of Aaron Gardner of Associated Psychotherapists, Brigham City. Information regarding the youth symphony is available at www.LincolnYouthSymphony.com. The Lincoln Youth Chamber Orchestra, their strings-only training orchestra conducted by Amanda Kippen, will perform Vivaldi's "Spring", Gruselle's "Postcards from Russia", Puccini's "Nessun Dorma", and Spata's "Gauntlet". The Lincoln Youth Symphony, a full orchestra conducted by Conrad Dunn, will perform Schubert's "Rosamunde Overture", and themes from Strauss's "Also Sprach Zarathustra". Additionally, showcasing talented youth from all over Northern Utah, Krystal Matheson of North Ogden will perform Hummel's Trumpet Concerto, David Ban of Logan will perform Mozart's Piano Concerto No. 23, and Kristene Murrow of Howell will perform Vivaldi's Violin Concerto in A Minor. Krystal Matheson is a senior at Weber High School. She began piano lessons at age seven and found a passion for music when she joined her junior high band playing the trumpet. She studies trumpet with Rod Rippon and periodically receives advice from her band director, Joe Windsor. Krystal is in her third year as principal trumpet player of the Lincoln Youth Symphony and performed with the Utah Symphony in the 2013 All Star Side-By-Side Concert. 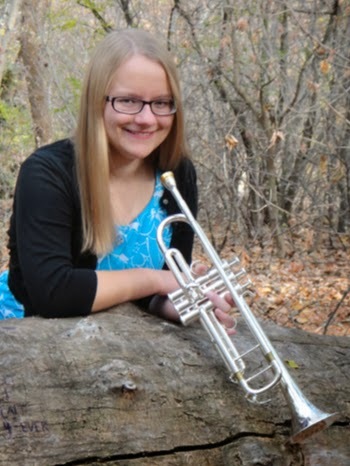 She has been selected principal trumpet of both the 2013 Weber School District and 2014 Weber State University Honor Bands, received “Superior” ratings at the Utah Region and Solo/ Ensemble Festivals, and was a member of the 2013 Utah All State Band. Krystal excels academically; she has been an officer in MESA and German Club, and is currently serving as president of the latter. She loves math, music, and science, and will most likely pursue a career in engineering. David Ban, 12 year old, is a 6th grader in Mount Logan Middle School. He started learning piano and music theory at Utah State University (USU) Youth Conservatory when he was 5. He is a student of Professor Gary Amano. His previous teachers include Emma Frazier, Anarie Petroff and Brandon Lee. For the past few years, David participated in the USU Piano Festival and won top prizes. He has also been named as one of the Youth Conservatory Outstanding Performers and received Spencer L. Taggart Memorial Award. 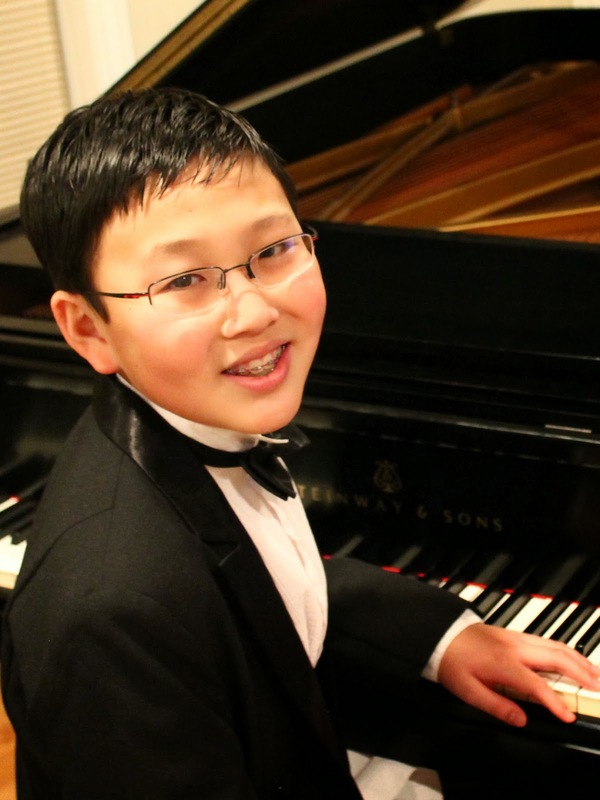 David won first prize in the Weber State Piano Festival and was selected as one of the finalists for Utah Symphony Salute to Youth audition in 2013. David loves school. Besides piano, he enjoys playing tennis, swimming, skiing, singing at school choir and playing video games. Kristene Murrow, age 10, is the daughter of Randall and Jenny Murrow of Howell, Utah. She is in the fourth grade and attends North Park Elementary in Tremonton. Kristene has been studying violin since she was four years old. She has studied with Nonie Reesor and Sharon Kline, and currently studies with Diane Austin. She has been a member of the Lincoln Youth Chamber Orchestra, in Brigham City, for the past 3 years. She is also a member of the Hot Apple Pie Fiddlers that frequently performs for local venues. 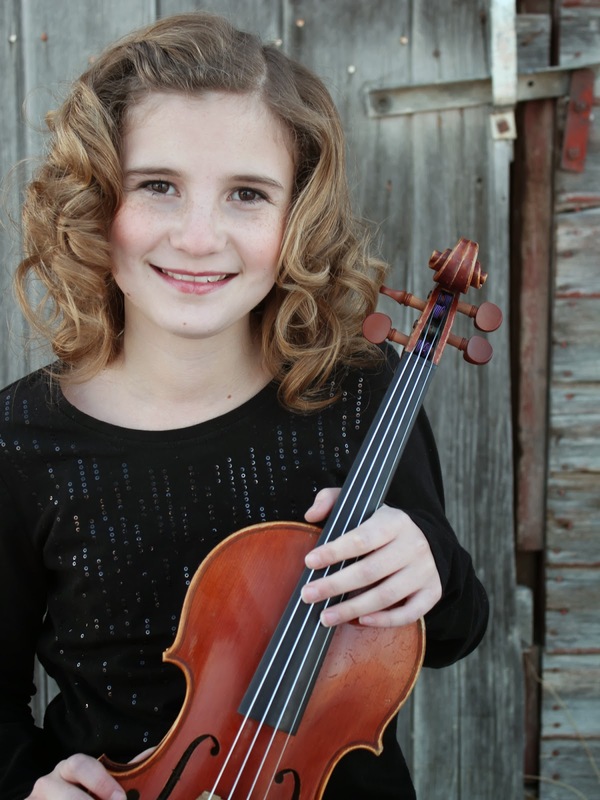 Kristene has participated and received superior ratings in the ASTA String Festival for the past 6 years and was featured on the ASTA String Festival's Honor's Recital in 2009 at Utah State University and in 2013 at Weber State University. Kristene has a love for the arts. She enjoys drawing, painting, writing stories and composing music. She especially enjoys making bracelets and necklaces for family and friends. She loves the outdoors. Her hobbies include riding 4-wheelers, shooting bb guns (she’s a pretty good shot), fishing, bike riding, swimming in the ocean and jumping on the trampoline. She also enjoys reading, cooking and baking cupcakes. Kristene’s favorite pastime is fiddling. She loves to fiddle!! She also plays the piano and wants to learn how to play the guitar. Kristene hopes to one day become a violin teacher so that she can share her love of music with others.